An air compressor generates compressed air, that can activate various tools and mechanisms. 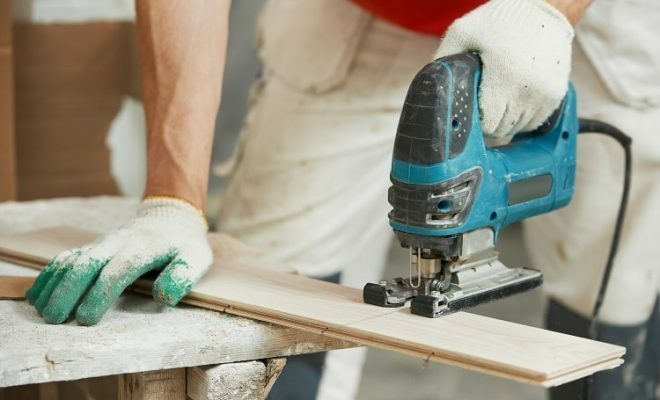 Demand for air compressors keeps growing – an increasing number of power tools require it. There are plenty of situations when you can’t do without an air compressor. At the same time, choosing an air compressor is not easy. The main reason is a huge choice of them. In addition, air compressors differ in their mechanism, operating principle and application. Therefore, before selecting an air compressor, you should decide on how often it will be used, for how long and the device that it will activate. So, in this article we’ll talk about how to choose an air compressor. The range of air compressor capabilities is quite wide. No construction team orvehicle repair workshopcan do without it. In 80-90% cases a air compressor is used when you should evenly paint large areas – in this case it provides the supply of compressed air to a spray gun or pulverizer. An air compressor is necessary when blowing and cleaning various tubular systems. These can be storm waterdrainage, street water pipes, plumbing systems. But most often these are various systems in a vehicle – a fuel or braking system. An air compressor can also provide operation of various kinds of pneumatic tools. These can be grinders, nut wrenches, pneumatic hammers, perforators and the like. Some may say that an electric tool is much more practical. However, there are situations when a pneumatic tool has certain advantages. First of all, these are situations when you must work in damp premises with a high risk of electric shock. Another advantage is that a pneumatic tool has no problem of overheating and peak loads. Air compressors can be classified according to several parameters, such as their operating mechanism, efficiency and purpose. In general, air compressors can be oil and oil-free. These two types have quite different purpose. The oil air compressor mechanism uses a lubrication spray system. The result is less friction and less heat release. The wear of parts is also less and the better pump sealing. While the performance, that is very important, does not decrease. Such air compressors are perfect for works with a pneumatic tool, since the supplied air contains micro-particles of lubricant. It reduces the pneumatic tool wear and the level of noise. However, such air compressors require regular maintenance. In particular, their air filters must be regularly replaced and the oil level must be monitored. Besides that, this type of air compressor cannot be used with a pulverizer or spray gun, as the oil micro-particles will fall into the paint. If we say that it is an oil-free air compressor, this does not mean that the oil is not used there at all. The oil is used to lubricate the working parts but has no contact with the supplied air. Devices are designed in such a way as to minimize the parts friction. Oil-free air compressors are more unpretentious in operation, do not require so frequent maintenance and are less critical to low temperatures, therefore they are mostly used for pumping tires, blowing up car systems, painting works. They also usually weight less and smaller than oil air compressors. There are plenty of air compressors according to their air compression mechanism. Reciprocating air compressors are more common because they are the most affordable. In such models, the pistons driven by an electric motor compress the air and pump it into the receiver. The advantages of such mechanism include easy maintenance, maintainability and low cost. But this mechanism has some drawbacks as well. They include a high level of noise and increased wear of friction parts, that much be replaced over time. But the resource of such air compressors is usually several thousand to several tens of thousands of hours. According to the degree of compression, they can be one-, two-, or multi-stage. The piston air compressors also include the so-called coaxial air compressors (also called direct drive air compressors). The coaxial piston air compressor mechanism is similar to that of a usual bicycle pump. It is compact and simple, and therefore reliable. Perhaps, the only drawback is that such mechanism requires regular breaks in the operation, as it heats up quite quickly. Rotary screw air compressors produce much less noise than piston air compressors. They have slightly lower energy costs, while screw air compressors can provide higher pressure values. The advantages of these air compressors include a high motor resource, that can be up to one hundred thousand hours or more. They can be operated without technical interruptions but are much more expensive and difficult to maintain than reciprocating air compressors. Scroll air compressors generate compressed air with two spirals. Their rotor axes are at an angle, not parallel like in the rotary screw air compressors. As a result, they are more compact, but have a more complex mechanism, so their cost is higher. A standard manometer is always installed on the case of a modern air compressor. Using a special regulator, an operator “adjusts” the pressure to the connected tool requirements. In modern air compressors, a receiver is equipped with an automatic system that turns off the engine upon reaching the maximum pressure. There are special protection systems that can significantly increase the air compressor service life and eliminate the possibility of breakdowns and expensive repairs, such as a system of forced air engine cooling system. If there is a thermostat, an air compressor motor switches off automatically. Some models are equipped with electronics, that warns of significant voltage fluctuations and can shut off the tool if the voltage fluctuations are higher than a predetermined critical value. Compressed air pressure – measured in atmospheres, less often in bars (which is approximately the same). For household air compressors, it is usually 4 to 12 atmospheres. Most often – 8-10. Productivity – measured in liters per minute. For household models, the ratio of 350 l / min is considered sufficient. The power of a primary power plant is usually 0.8-2.5 kW. More powerful devices are considered to be professional. Weight can range from several tens to over hundreds kilogram. This parameter should be considered when selecting an air compressor, since the large weight and dimensions significantly reduce its mobility. Receiver volume – a cylinder shaped receiver used for the accumulation of compressed air usually has a volume of up to 50 liters. Professional models are equipped with a receiver of 100 liters or higher. The larger the volume, the more stable the pressure at the air compressor output – due to the air reserve in the receiver, the engine power fluctuations caused by the voltage variations in the power supply line are leveled. This is especially important when it comes to a piston air compressor. For household needs, there is usually no need to buy an air compressor with a capacity higher than 350 liters per minute and a working pressure higher than 10 atmospheres. The engine capacity of 1-1.5 kW will be also fine. We also recommend choosing a tool with a power at least 30% higher than the load power consumption if the air compressor is purchased for a pneumatic tool. If you plan to use the tool for a long time, it is better to choose a screw air compressor. But keep in mind that it should not be switched on and off often. Its mechanism does not like constant temperature changes in the air compressor unit. Air compressors are also different in the type of power supply required. Some of them are designed for single-phase power supply, others – for three-phase one. 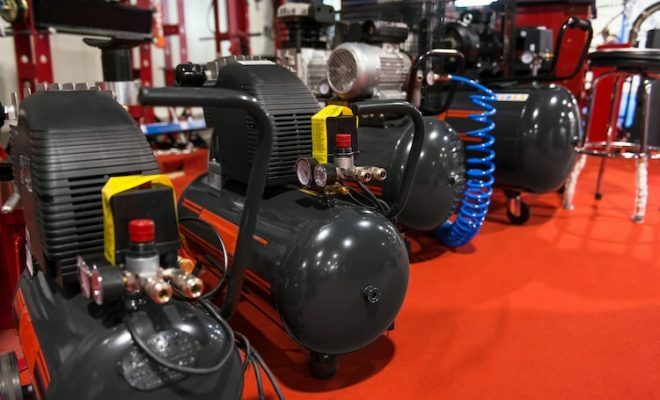 Therefore, it is important to decide where a air compressor will be used and what power supply it will be connected to. If you need an air compressor designed for a long operation and “indestructibility” (for example, for a vehicle repair shop or furniture production), we recommended considering piston air compressors with a belt drive. They are noisier and larger than coaxial ones, but less vulnerable to breakdowns and have a bigger resource. When it comes to painting, the most important air compressor parameter is the pressure stability. How To Choose a Chainsaw Chain?